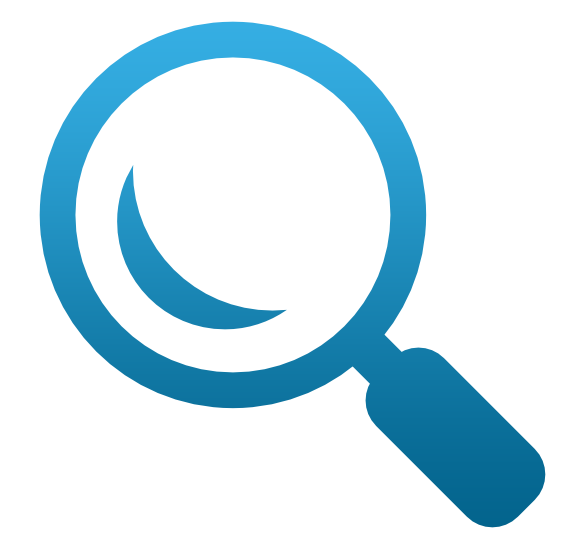 An online invoicing solution for freelancers, small business owners, and companies of all sizes. The effort spent in creating invoices and chasing payment takes away from opportunities to focus on those actions that make money. Plus, who wants to wait days, weeks, or months to get paid? Low cash flow could result, inhibiting your ability to grow the company while also putting your credit score and business continuity at risk. 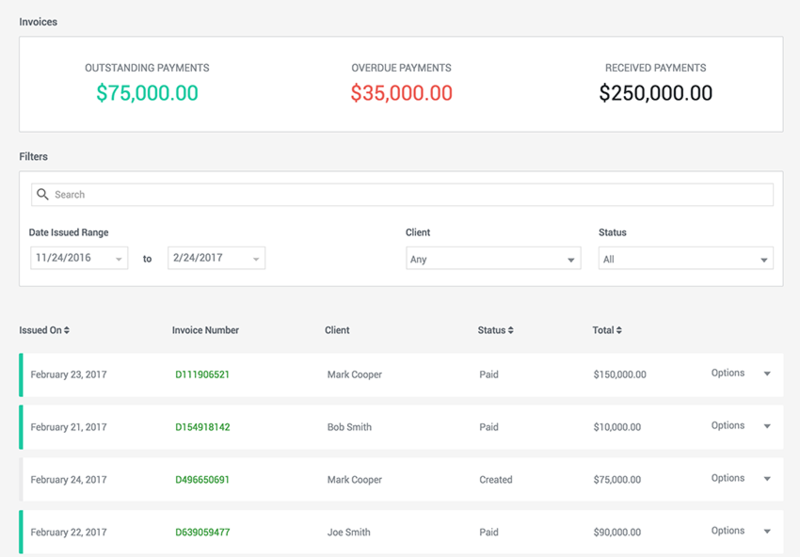 Built around a beautiful interface and dashboard, Due’s powerful online invoicing platform has a long list of features designed to help you effectively manage your invoice and payment tasks. Here’s what’s available when you choose Due’s online invoice and payment solution for your business. No one ever starts a business with the aim of sending invoices. They start it because they have a burning idea and an unstoppable desire to make it happen. They start it because they want to be independent, to make their own decisions and to run their own life. They start it because they could never do anything but be their own boss. And yet, each month, they find themselves putting aside their product development, their marketing, their customer service and the work they’re supposed to be doing for their clients in order to spend hours listing all of the tasks they’ve performed over the last thirty or so days. They list them for each person who placed an order, they set an invoice price for each task, add taxes and other expenses, and they send those invoices off, making sure that nothing has been forgotten. It’s far from the most enjoyable part of running a business but it is as essential as marketing and meeting deadlines. Without invoicing, those clients won’t know how much they have to pay, the supplier won’t know who has paid and who they need to chase up… and the government will lack the paperwork it needs to be sure they’ve received all the taxes they’re due. The amount of time it can take to prepare those invoices varies tremendously from business to business. One commenter on Consultantjournal, a website for consultants, explained that one large company for which he works insists that he bills hourly and include start and end dates. By the time he has finished adding the work of his subcontractors, his invoice might contain as many as 60 line items and have taken as long as eight hours to bring together. He adds that time to the bill. Other commenters said that they rarely spend more than half an hour on each invoice, and to avoid wasting more time chasing down late payments they offer a discount for early settlement. Business owners who find themselves spending an entire evening with their invoice book—or more likely today, with their invoicing software—can at least console themselves that they are continuing a glorious tradition. Walk through the Metropolitan Museum, the Louvre or the British Museum and you can find clay tablets marked with the triangular, cuneiform script of Sumeria. Many of those four thousand-year-old documents aren’t great works of ancient literature; they’re invoices and receipts tracking the payments for barley and sheep and oxen… and of course, the taxes that those transactions generated. They give archaeologists and historians an insight into the lives of people living in the world’s first cities and they show that from the moment trade started, there has been a need to track that trade and maintain records of transactions through an invoice manager. Business owners no longer need to press shapes into lumps of clay ready to be baked but other than the writing method, the way those transactions are recorded have changed little. In this guide to invoicing, we’ll examine in detail exactly how invoice forms need to be laid out – but the fundamentals have remained the same over the millennia. Businesses include their own contact details, the details of the recipient, the items for which they’re billing, the price of the items, and the time and method of payment. None of those basic elements have altered, and they can be found in invoices that have impressed into clay in Mesopotamia, brushed onto bamboo strips in Qin dynasty China, and typed on keyboards in offices in the skyscrapers of New York. What has changed is how those invoices are created. Until recently, the method was to hand-write invoices, a laborious process outsourced to a company’s accounts department. For small and medium-sized businesses it was expensive, requiring the work of at least one member of staff. It filled space; those documents had to be filed and maintained… which meant that they could also be misfiled and lost. And it allowed for the easy entry of errors that in turn led to delayed payments and disputes. About half the companies in the US have already moved away from paper-based systems and the shift is happening quickly. Between 2012 and 2013, the use of paper invoices declined from 59 percent to 52 percent. Nonetheless as many as a third of the companies that continue to create paper invoices send them to as many 25,000 buyers each month, a huge amount of work and a process that eats through reams of paper. It’s no surprise that one in five of those firms say that they’re losing at least 3 percent of invoiceable income to payment issues that include short payments, late payments, and discount and tax disputes. Switching to electronic invoices (some type of online invoice software) tends to reduce costs, saves time for both processing and payments, cuts disputes and increases productivity. It makes what might otherwise be a painful process both easier and more accurate. When the aim of invoicing is to maintain records and make a formal request for payment, the goal is to get the job done as quickly and efficiently as possible. Large firms sending tens of thousands of invoices every month may have their own reasons for delaying change, such as the cost and disruption of changing such a large operation, but for smaller firms there’s no reason to continue putting invoices in the mail or storing them on paper. In a survey that we conducted of 250,000 invoices sent through our payment platform, Due, we found that the average amount on each invoice was $365. Nearly one in five (18 percent) of those invoices are paid within 24 hours of being issued and on average online invoices are filled within 14 days. When the money can come in that quickly, businesses shouldn’t be wasting time with paper invoicing. That extra wasted time isn’t just lost productivity; it also translates into a much slower cash flow. So much for a free invoice! In this guide, we’ll look closely at how invoices work. After examining what you need to include and how you need to lay them out, we’ll talk in more detail about the special requirements and advantages of e-invoicing, and we’ll look at some of the ways a business can boost the effect of their invoice forms. Like any business document, invoices are meant to generate action… in this case prompt and full payment. There are steps that a business can take to increase the speed and reliability of those payments. Finally, we’ll talk about invoicing for freelancers. With more and more people choosing to work for themselves, invoicing is no longer the preserve of companies with accounts departments and dedicated staff. Many of the people sending invoices now have little experience with keeping accounts or chasing up payments so we’ll look at what freelancers need to know about maintaining their financial records. It’s certainly true that no one, other than invoicing businesses, starts a company with the goal of sending requests for payment. But it’s also true that sending those requests, and keeping them, is an essential part of every successful business. This guide will tell you everything you need to know to keep your buyers paying and your business growing. Invoices should be pretty simple. They tell buyers how much they need to pay. They tell businesses how much they’re owed and why. And they tell the tax authorities how much those business should be sending to the government. They give companies financial records that can track the growth (or otherwise) of revenues and they provide a list of amounts owed that can be chased down and brought in. So an invoice really doesn’t need to be much more than an itemized and priced list of services rendered or products sold, delivered once the transaction has been completed. In practice, they’re a lot more complex than that – but still shouldn’t require a dedicated invoice manager to sort through. A free online invoice should be low cost and easy to use. Businesses may issue as many as six different kinds of invoices, with each having a slightly different role. A pro forma invoice, which is sometimes called a bid or just an invoice proposal, might look like an invoice but it’s not binding. It’s not a demand for payment but a way of showing the buyer the amounts they’ll have to pay when the work is complete or the products have been supplied. Because a pro forma invoice isn’t final, it’s often the subject of negotiation between buyer and seller, and may differ from the final invoice. An interim invoice is sent while a project is ongoing. A freelance client, for example, might place an order for a website that will take several months to build. In order to maintain cash flow rather than wait for a lump sum at the end of the project and to reduce the costs of any non-payment, the freelancer might issue invoices as the project continues. The milestones that trigger those invoices have to be agreed between the two sides before the project begins but they typically take place monthly or on the completion of agreed percentages of the project. 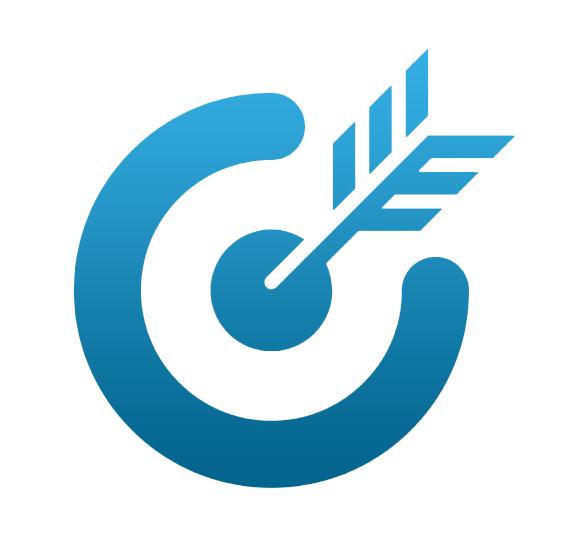 Recurring invoices are sent by businesses that supply ongoing services to clients. They’re like the bills you get from the electricity company or the cable firm. The amounts may be the same every month but as the company grows, so the number of recurring invoices sent will also grow, adding to the company’s workload. Large firms need automated ways to send thousands of recurring invoices every month. Past due invoices, also known as overdue account notices and even interest invoices, are the invoices you don’t want to send… but will probably have to. They’re the documents that tell buyers that they haven’t paid their bills and need to send the money over quickly. They might go out a month or more after the first invoice has been issued. Interest invoices include any interest payments that are added on for the delinquency. Final invoices are sent at the conclusion of the project. Often, they’re the only invoices that a business needs to send but if interim invoices have also been sent, details of those previous bills may also be included in the final invoice. Miscellaneous invoices can be used to bill for any payments not included in other invoices, such as corrections to a previously sent invoice or additional work that doesn’t fit the invoice format. A business might not issue all of these invoices. The details on a pro forma invoice might be laid out in a more detailed proposal. Not every job is recurring and not every project is large enough to make interim invoices worthwhile. (The average of $365 that we found invoiced through Due is more likely to represent the completion of many small jobs than small parts of larger projects.) Even those past due invoices for deadbeat clients and customers get less of an airing than you might expect. We found that 84 percent of all invoices are paid, a figure that doesn’t include deleted invoices, and nearly two-thirds are paid within 30 days. Late payments and delinquency are rarer than you might think. For most businesses a single kind of invoice, issued at the completion of a project, will be their standard. And that invoice will follow a standard format. An invoice tells a customer or a client how much they need to pay and what they’re paying for. That’s just one piece of information. An invoice for business usually contains several other different pieces of information that are all essential for an invoice to be effective. Every invoice will involve two parties: the payer; and the payee. Each invoice must include the details of both so that it’s clear exactly who the invoice is for and who it’s from. The details should include the companies’ legal names, business addresses, and phone numbers, with the role of each party identified. How you format those business details is flexible. Most invoices place the sender’s name and details in the top left hand corner, followed by a phrase such as “Bill To” directly beneath, followed by the payer’s details. Other formats put the payee’s details across the top of the page with the payer below and on the left. Regardless of how the two companies’ details are arranged, it should be clear exactly who is sending the invoice… and who should pay it. Somewhere, usually towards the top of the invoice, there should be a heading that tells the recipient what they’re looking at. You don’t have to do more than put the word “Invoice” in big letters somewhere on the page. If you’re sending the last of a series of invoices, you could write “Final Invoice,” and if you’re sending a pro forma invoice, you might add “Pro Forma” to make clear that this is not a document that you expect the recipient to pay. Usually “Invoice” in big clear letters is enough to tell the recipient that the numbers below are the amounts they’re going to have to send you . The business invoice will need a date so that the payer knows the period that they’re being billed for, and when they have to pay it. That date often goes at the top right, and it’s followed by an invoice number. The invoice number allows the payee to be able to refer to a specific invoice easily (the alternative is to use the date) and to know that they’re keeping consecutive records. Some accounting departments will want the invoices they receive to use special identifiers that are necessary for their own bookkeeping. If you’re billing a large company, it’s worth asking if they need any particularly references included on the invoice. This is the meat of an invoice, the place where all of the items for which the payee is demanding payment are laid out. The amount of information necessary to include here will vary but the list should include the name of the product or service supplied; the rate per unit; and the number of units delivered. The aim of this section should always be to clarify what the buyer is paying for. The more questions you can solve in the payer’s mind, the less likely they’ll be to pick up the phone and query the invoice, causing delayed payments. Often, those line items will be sufficient to cover all the charges. Sometimes though, you might need to add extra lines for fees that are not part of your own charges, such as sales tax, freight charges, insurance or even any discounts. These should be added between the line items and the total. At the bottom of the list, the total should be clear and bold. Again, the aim is always to maximize clarity to ensure timely payment. Make the total due large and unmissable so that the payer knows exactly how much they have to put on the check. At the bottom of the invoice, you should indicate how and when you expect to be paid. These details will usually be worked out in advance between both sides but a note at the bottom of the invoice will remind the payer of that agreement. Part of that agreement might be the date of payment. The most commonly used term is “net plus 30” which means that you expect to be paid within 30 days of the buyer receiving the invoice. You might also want to include a field for a tax identification number if relevant, and another field to thank the payer, but these fields on an invoice should all be enough to do the job. They should tall a payer how much they need to pay, why they need to pay it, and how and when they should send you the money. Choosing how the customer should make that payment is no longer as easy as it sounds. Before the days of digital/PDF invoices and online banking, the most popular method for making payments would have been check. Today, only around half of businesses settle their bills by putting a check in the post. While they’re convenient, simple and appear to cost little, they can take a long time to clear, are prone to being lost in the mail, and can easily be copied or changed. They also need to be filed and maintained, and once a business has added in the cost of mailing on top of the price of the check books themselves, they’re a lot more expensive than they look. Even without the cost of the check books, the National Automated Clearing House Association (NACHA) still managed to estimate the cost of writing a check to settle an invoice at about $8 after taking into account the expenses incurred when a check has to be stopped and the time spent by account staff who have to enter payment details manually into records, file the paperwork, and fill the envelopes. It’s no surprise that companies are increasingly moving towards alternative methods. This applies to a service invoice, commercial invoice, any type of business invoice — and many more. Of course, cash is little better. It leaves no paper trail for the accounts department and provides no security in the event of loss or theft. A fistful of banknotes might work when you’re buying in a shop but it’s not an option when you’re sending an invoice to a retail customer or to a corporate buyer. Some businesses have been known to enclose a form that asks for credit card details. You used to be able to find them in magazines selling souvenir plates or boxes of sea monkeys, but there are good reasons that invoices tend not to include space for credit card numbers on invoices. Credit card payments are expensive, with the companies demanding not a flat fee but a percentage of the invoice amount. For large payments that can make the transfers very costly. While customers may now be accustomed to entering their credit card numbers on secure websites, they’re less likely to feel comfortable mailing those numbers back or even including them in an email. For corporate buyers, credit cards are rarely the most popular way to settle an invoice… unless it’s for a bill presented in a restaurant and which will be paid from expenses. Wire transfers are more popular but while they’re fast and secure, they can be even more expensive than the use of credit cards. Invoices sent to regular corporate buyers are more likely to be settled through ACH transfers. Often made within banks, they’re a secure and low-cost way to transfer money. But they do take time to set up, a barrier which makes them ineffective for one-off payments. In practice then, when an invoice for businesses is in a digital format and has been sent electronically the request for payment is often made through one of the many online payment systems such as PayPal. While the costs are often comparable to those of credit cards, the security is built-in and the transfers are almost immediate. But there is plenty of choice, and each side of a transaction might have its own preference and its own established way of handling payments. While that adds flexibility to a transaction, it does also add complexity so it’s worth either agreeing on the payment options at the start of the transaction or being prepared to be flexible after the invoice form has been issued—an option that might lead to a delayed payment. The End Of Paper Invoices? Writing on Forbes in May 2015, James Marland, Vice President of Network Growth for Ariba, described a discovery he had made the previous summer. While renovating around his fireplace at his home in England, he found an invoice from a brewery that was dated to May 13th, 1915, exactly a hundred years earlier. The borders also have an attractive decoration and the Gothic fonts used are unlikely to have seen ink for the best part of a century but other than those details, the invoice is largely the same as paper invoices issued today. There’s a header and a date, the name of the recipient and the name of the company requesting the funds. And much of the invoice is made up of a list of products that the deliveryman (or drayman) can mark to show how much the recipient should pay. But there is one way in that that antique invoice differs dramatically from modern versions: it’s printed on paper. Or rather, that means it differs from about half of them. Around 50 percent of companies still send their customers invoices on paper but the number is falling fast. While paper invoices are traditional and fit easily into a company’s longstanding work process, they also have a number of disadvantages. They can only be stored in a single location, and despite the discovery of the occasional hundred-year-old invoice, they’re fragile. They can easily be destroyed in a fire or a flood, or eaten by rodents. They can only be retrieved if they’re filed correctly, and they’re relatively expensive to produce and maintain. for payment, often on an automated basis, track the payment process and easily obtain all the permissions and approvals necessary. In the next chapter, we’ll look at how exactly digital invoices are changing invoicing. The first e-invoices date back forty years or so to when businesses used their own electronic systems to transfer invoices and send purchase orders. Those initial moves toward a paperless office were held up by the high costs of building unique data systems but also by the need for different parties to develop a system that could read each other’s communications. One solution was Electronic Data Interchange (EDI), a set of common standards that would allow different countries or organizations to exchange documents electronically. Among its first uses was the cargo system at London’s Heathrow Airport in 1971, which allowed forwarding agents to enter information into the customs processing system, saving time in clearance. The first EDI standards were largely defined by the needs of the automotive industry but as different industries started to use electronic transmissions to send data, including invoice data, a number of different standards emerged with each geared towards its own industry needs. In general though, the information contained in an electronic invoice submitted according to an EDI standard is similar to that contained in a paper invoice. An EDI document used to instruct a warehouse to ship a product to a retailer, for example, would contain a “ship-to” address, a “bill-to” address, the list of products and their quantities. 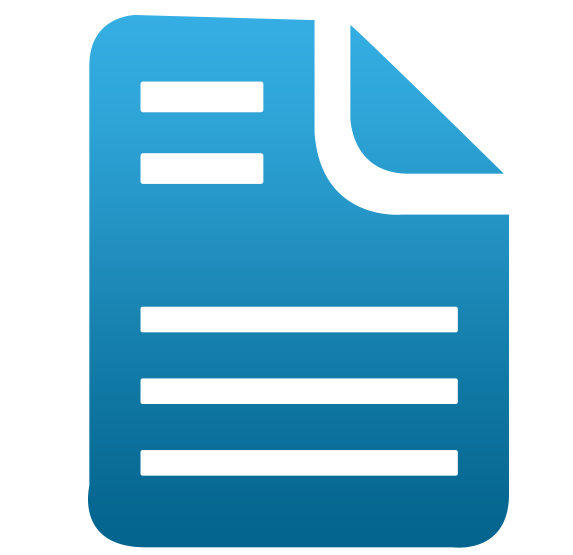 A response to a Request For Quotation (RFQ) bid would look very much like a pro forma invoice. The EDI standards laid out how business documents including invoices needed to be formatted before being transferred but they didn’t specify how those documents should be transmitted. As electronic communications began to spread, that led to the proliferation of a number of different networks. Some companies set up modem pools that allowed for peer-to-peer communications, a useful solution for carmakers with a network of suppliers. But because the modem pools could only communicate with approved members, suppliers dealing with multiple customers might have needed a different system for each, creating higher costs and introducing inefficiencies. These Value-Added Networks, or VANs, had been around since the sixties when they first worked with timesharing providers. The growth of demand for the transfer of EDI documents led to the expansions of VANs, which acted as intermediaries sharing data between business partners. The formation of standards and the development of transfer networks were all prompted by the need to produce a fast way to transfer business requests, including detailed requests for payments, between companies. The spread of the Internet from defense institutions to offices and homes finally gave companies both an agreed standard that would allow anyone to submit a request for payment and feel confident that it could be read by its recipient, and a low-cost, easily available method of transferring that information. The ease was crucial. What had once been a method characterized by complex software requiring specialist training now became an environment in which companies competed on factors that include ease-of-use, as well as security and additional functions. 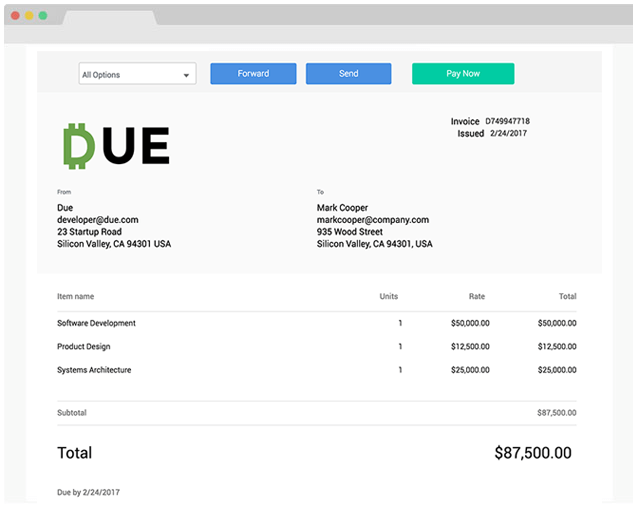 Due.com allows its customers to send invoices to an unlimited number of customers. They can use our invoice generator to send recurring invoices and they can also integrate their payments with PayPal and build a timeline that’s easy to follow. It costs nothing to use this free invoice template. A company trying to do the same thing would, at the very minimum, need to pay for the cost of buying and franking envelopes, as well as burn through expensive printer ink. Today’s e-invoicing platforms remove all of those costs for small businesses and make them negligible for larger firms. And, of course, digital invoices are also greener. Even taking into account the energy needed to keep a server operating, the move from a paper-based invoicing process to electronic invoicing has been found to decrease the carbon footprint of one invoice lifecycle by 63 percent. Walk into any office a couple of decades ago, and you would have been able to find a room filled with metal filing cabinets. Those cabinets cost money, not just to purchase but also to keep; the office would need to pay rent for that storage space. It also needed to employ staff that understood how that filing system worked. Few chief executives would have known how to retrieve an invoice from the filing system, making them completely reliant on their administrative employees. Electronic invoicing platforms make space someone else’s concern. 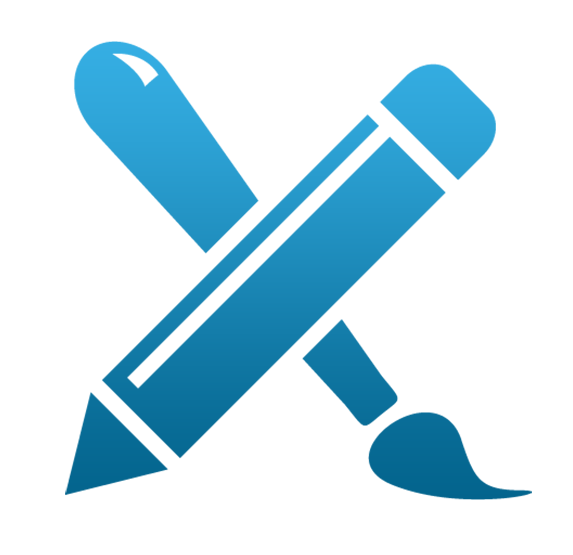 Documents are stored on servers where they’re backed up and protected. What used to take up a couple of rooms can now be squeezed onto a single shared server located far from the company’s office. That old filing room can now function as an office used by a productive member of staff. Send a paper invoice and you’ve got no idea what happens to it. Unless you register every invoice you send, you can only hope that it arrives safely, isn’t sent to the wrong department or isn’t lost in the mailroom. Electronic invoices can ask for read receipts when they’re transmitted so you can be certain that the recipient has received it… and opened it. If there are no questions shortly after the read receipt has been received you should be able to expect timely payment. And if you don’t receive that read receipt, you know that something has gone wrong, and you can act on it quickly. The mail system has never been good and it’s getting worse. The US Postal Service’s own data shows that only between 54 and 63 percent of the mail that’s supposed to arrive within three days (or four to five days if sent to Alaska or Hawaii) arrive on time. As email has replaced letter-writing and digital communications have taken the place of ink and paper, the postal service has less money to spend on sorting offices and mail deliverers. That’s slowed down deliveries, including the delivery of company invoices. They take longer to arrive, and they take longer too to wend their way from the recipient’s mail department to the party responsible for authorizing payment. One survey found that 29 percent of customers who received their invoices in the mail failed to pay their first bill on time. Half of those delinquent payers called customer service to query the payment. But surprisingly, the survey also found that emailed invoices fared worse even though they reached their destination up to three days faster. The same survey found that as many as 59 percent of customers who were sent an emailed invoice failed to pay their first bill on time, with the most popular excuse being that the invoice was eaten by their spam folder. Digital invoices may be more efficient but how they’re sent matters. Dedicated invoicing platforms don’t just make the billing process itself easier; coming from a recognized source they’re also nearly twice as effective as email at making sure the invoices are seen and acted on. Another report suggested that using an electronic invoice cuts processing time from seventeen days to just three days. In November 2015, the US Office of Management and Budget issued a deadline of the end of 2018 for the US government to adopt e-invoicing. At the time only 40 percent of the 19 million invoices issued by the federal government every year were processed and managed electronically. The Office estimated that savings made by the elimination of manual data entry and the routing of paper invoices would run to between $150 million and $260 million. The move follows a similar requirement in Brazil that led to savings of $78 million over two years. The European Union has made a similar demand. Public sector suppliers in Europe have until 2018 to use electronic invoices, a move that the European Commission estimates will save around $45 billion a year. And as public sector use of electronic invoicing increases, so the private sector is also expected to use more electronic invoices. European businesses issued 2.7 billion electronic invoices in 2015, a figure that is believed to have risen to about 5 billion a year later. But even as e-invoicing becomes both more popular and increasingly mandatory, some countries have been reluctant to move away from methods that, while expensive and slow, have the advantage of being reliable and familiar. In Germany, some 69 percent of the companies that process electronic invoices are said to keep physical copies of those payment requests. That’s a waste. One of the biggest advantages of an electronic invoice is that businesses don’t need to print them, stuff them into filing cabinets and hope that someone in the company knows how to find them. They can store them electronically and retrieve them by date or keyword. Those are just some of the hidden benefits of digital invoices but in fact every invoice, whether issued by email, on an invoicing payment platform or written on an piece of paper and handed over to a customer, have a power to do more than demand a payment… if used wisely. In the next chapter, we’re going to look at how to use your invoices to not just receive money but to receive it at time and in the way you want. The moment a receipt is received, all sorts of things start to happen. Every company will have its own process for dealing with invoices. Some small firms may be able to pay them immediately. Larger firms though, are likely to require approval for payments, confirmations that the products were received, and checks on their quality. Regardless of any terms written at the bottom of that invoice, the largest firms are unlikely to pay before every part of their invoice process has been completed. That process can touch on a number of different issues. The first is the timeframe. Rupert Murdoch and his crappy little New York Post should be ashamed. Three months later, still haven’t paid up on a freelance assignment. Romenesko ended the post by asking other freelance writers how long it usually takes for newspapers and magazines to pay them. The responses varied considerably. One said that they invoice at “standard net 30 and follow up on due date if payment hasn’t been received.” A number said they never have to wait more than 30 days, though some freelancers complained that they were used to waiting 90 days. One small business owner noted that she had found that the speed with which she gets paid depends on her relationship with the project manager and how closely she followed their account department’s procedures on the invoices. That connection to the client’s habits is important. Some customers will only cut checks or wire money at a particular time. Your business might be in the habit of issuing all invoices at the beginning of the month but if the buyer’s process is to pay invoices at the end of the month or in the middle of the following month, by which time six weeks will have passed, you’ll always be left waiting. It’s always worth asking about the company’s time to payment so that you know what to expect, but in practice, there’s nothing wrong with picking up the phone or writing an email if a month has passed with no sign of funds. While it might be frustrating to have to wait as long as three months to receive a payment, it’s not unheard of and when the payer holds the money—and looks like they might pay eventually—there’s not much you can do but wait. The real problem comes when they have no intention at all of paying. The last comment on Jim Romenesko’s blog post was made at the end of April 2015 by Nick Morris, the photographer who had accompanied David Ogul on the hunt for the mother of Justin Bieber’s love child. “Never was paid,” he wrote. The size of the job also has an effect on the payment process. Large sums may require additional checks and permissions, and they might also require different methods of payment. Credit cards and some online payment platforms take a cut of the transferred fee, which can make large sums expensive to send. They also increase the risk to the supplier if all of the payment is left until the final invoice. If you’re planning to bill for a larger than average sum, do yourself a favor and ask for the some of the money upfront. You’ll know the client is willing to put their hand in their pocket, and you’ll do the client a favor by letting them split the payment into more than one instalment. For projects that need to be cut into more than two payments, milestones will give you small deadlines to work towards, show the client that you’re making progress, and provide time for feedback as the work continues. You’ll also get a warning if things are going wrong. The milestones should come with deadlines for payment as well as delivery so if the funds aren’t transferred on time, the client can’t complain if you down tools and work on a different project until the money comes through. Another way to persuade buyers to pay on time is to offer a discount for early payments. The most common method is to give one or two percent to receive the payment in ten or fifteen days instead of 30 or 60. It’s written on the invoice as 1%/10-net 30 or 2%/15-net 60. Companies offer these discounts for a number of reasons. The biggest is to do with risk. The longer you have to wait for your money, the greater the chance that you’ll never see it. If a buyer finds that he can string a creditor along without consequences, there’s always the possibility that he’ll continue to do so. And if a company looks like it might be running out of cash, a discount can push a creditor to the front of the line, ensuring that they get their money first. Early payments can also help with cashflow and reduce expenses. If you were planning to borrow funds until the payment was made, then the cost of the discount could be less than the interest you’d have to pay to the bank. But when interest rates are low, that’s unlikely. A 2 percent discount on an invoice payable in 30 days amounts to an annual interest rate of 36 percent—much higher than the rates banks are currently charging. That discount might be only $100 on a $5,000 invoice but multiply it across several invoices each month and receiving your payment fifteen or 20 days early can quickly become an expensive proposition. It’s another percentage point or two off a profit margin which might already be tight. And in practice, suppliers often find that buyers pay at the discounted rate but still pay late, leaving the supplier to argue over 1 or 2 percent of the bill. If a business really needs cash and can’t wait 60 days, there is an alternative. Some financial organizations will “factor” an invoice. In effect, they lend the supplier money using the invoice as collateral. Factors are often easier to obtain than business loans. They can be set up relatively quickly, provide money fast, and they’re available to businesses that have no credit. There are conditions: the company should sell products or services to businesses or government agencies that usually and reliably settle their invoices within 90 days; the invoices should not be encumbered by liens; and the company should be free of legal and tax problems. Once approved, the finance company will pay anywhere between 75 and 95 percent of the value of the invoice, sending the money through ACH or a wire transfer. That instalment is paid immediately. The remainder is paid when the invoice is fulfilled at 30, 60 or 90 days , minus the factoring company’s fee. The fee varies with the payment period of the invoice but depends mostly on the reliability of the buyer. The higher the risk of a default or late payment, the higher the interest rate will be. It’s rarely lower than 1.5 percent but there is room for negotiation. You can negotiate the size of the advance, the interest rate, the length of time clients have to pay, their reliability, and any ancillary fees the institution might charge such as minimum payment amounts, invoice processing fees, mailing and lockbox fees, credit reviews, overdue fees, and so on. Negotiating each of those elements can be help to reduce the costs of the factor. You can think of factoring as being similar to pay day loans for businesses, and while some businesses use it regularly to ensure a reliable cash flow, those costs will also become a running expense. Another way to think of factoring is as an expensive way to create a subscription service. Instead of the client paying you automatically each month, the bank makes the payments reliably as soon as it receives the invoice. But if you’re dealing with a client who receives an identical invoice at the same time every month, you shouldn’t have to keep sending out that same document and wondering when you’re getting paid. In the same way that your newspaper or cable television subscription is paid automatically, so you should be able to set up a standing payment system to match your regular supply. The benefits to the supplier are clear but they’ll be less clear to the buyer who might struggle to challenge a payment. This is one time when offering a discount or providing extra value can produce a real benefit. When you know you’re getting paid regularly—and are sending out payment confirmations rather than demand for payments—your business will have a much stronger foundation, and that’s something worth paying for. An invoice has a number of fields for a reason: they make it easier for buyers to pay you on time. The more you complete—even when you think they’re not necessary—the fewer delays you’re likely to encounter. That includes some of the fields you might think aren’t necessary. According to our survey, defaults on invoices with company logos are just a third of those for invoices that lack logos. That might be because the invoices look more serious. They appear to be supported by a real business, one that could have an accounts department and a legal department ready to chase down unpaid bills. Whatever the reason, it’s worth using the space in the header to add your company’s logo and make the invoice look as professional as possible. As many as one invoice in four may also be sent without a due date, a failure that can have an even bigger effect on the payment process; businesses may be as much as eight times more likely to be paid on time if they add a due date. You can put it in the notes section or at top of the page, but if you don’t tell your customers when they’re supposed to pay you, you shouldn’t be too surprised to find that they don’t pay you on time. The same is true of the terms of payment. If a payer has to check back through a stack of emails to recall how you asked to be paid before the project began, then there’s a higher chance of a delay. The same study found that missing payment terms increased the chance of a late payment by 1.5. And you should always target the invoice to the person who’s responsible for it. A company might work on a project with a number of different people but before sending the invoice, they should know who is responsible for receiving it and for ensuring that the payment is made. Send an invoice to four or more people and everyone will look at it… then assume someone else will take care of it. If you want to get paid on time, show that the invoice is coming from a real business, explain when and how you expect to be paid, and put that invoice in the hands of the person who’s responsible for paying it. Getting paid for a service or a product should be straightforward. As soon as the product is delivered or the project is complete, you send an invoice that explains why and how you expect to be paid. On or before the due date, you get a check in the mail, notification of a transfer to your bank account or an email telling you that money has been put in your online payment platform. It should be simple. In practice though, payers have their own payment processes. They can have cashflow problems, their accounts departments can suffer inefficiencies, and they might have queries about the terms or the contents of an invoice. All of those factors can delay payment and cause worry for the creditor. But the biggest cause of that worry is not knowing. When an invoice isn’t paid on time, the sender doesn’t know when they’re going to be paid, whether they’re going to be paid or what’s gone wrong. So if there’s one factor that will have the biggest effect on ensuring a smooth payment process, it’s communication. Maintain a good relationship with the person responsible for handling payments. 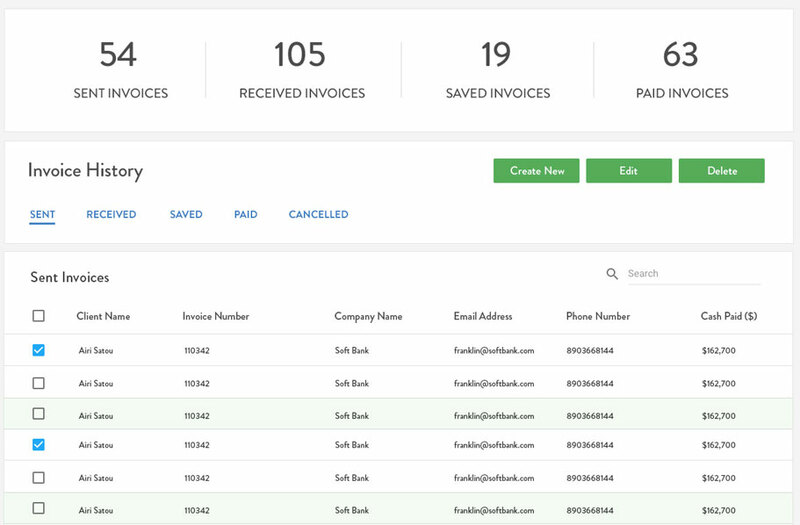 You’ll be able to deliver the invoice in a way the company needs to receive it. You’ll be made aware of any problems before they cause significant delays. And you’ll be able to act fast to solve those problems so that you can receive your payment in time. If putting the invoice in the hands of the person responsible for ensuring its payment is the most important thing a business can do to increase the chances that the payment will be made on time, it can also be one of its biggest challenges. Large firms will have accounts departments and dedicated staff whose job is to do nothing but handle requests for payment. For small firms and for freelancers, invoicing falls directly on the business owner, and time spent creating invoices, chasing down late payments and figuring out who exactly is responsible for approving the payment is time not spent earning money. For small firms, and especially for freelancers, invoicing is a chore—and one that takes them out of their professional skills set . Writing on his website, consultant Brennan Dunn described an experience that he had with a client of his software firm. Dunn invoiced on net 30 payment terms, and the client had always paid on time. About halfway through a project that was large enough to take up half of Dunn’s team, the client defaulted on an invoice. At that time, Dunn was invoicing twice a month so the first default was soon followed by a second, and the team was heading towards a third. The amount outstanding had then reached $80,000, a significant sum for a small business, and it wasn’t a sum that Dunn could easily write off. Not only would he lose the amount of time that he had put into the work, he still had to pay his staff. When Dunn asked the client why he hadn’t said that he was having financial problems and stopped the work while he looked for funds, the client replied that he just needed the app Dunn’s team was making to be a little more advanced before he’d be able to raise the money. He’d put everything on the line to make this app work and he needed to get it finished. Not surprisingly, Dunn wasn’t too impressed. He pointed out that while the client was risking a great deal to create his app, he also had everything to gain. Dunn was also now wrapped in his client’s risk but as the owner of a services firm, he could only gain the amount that he was due. Dunn, who now advises freelancers and small businesses how to increase their incomes, recommends taking a number of steps to reduce the chances that they’ll be left with unpaid invoices. They don’t apply to every business and they aren’t appropriate for every client. Every small firm and every freelancer will have a client list that contains a mixture of familiar and trusted long-term clients and new buyers who come on board without a buying record. Those different histories mean that some clients will have won more credit and built more reliable lines of communication than others. Dunn’s advice then can act as a baseline for freelancers, as well as for small businesses, but it should also be flexible enough to be adapted for each project and for each client. Dunn argues that invoicing every week makes budgeting easier for clients and by breaking the payments into small, fixed amounts, also makes it easier for freelancers to demand payment in advance. In practice, that rarely happens. Freelancers in particular are more likely to invoice at the end of the month, or at the end of a project if a project ends at the start of a month, than to sit down each week and write out invoices. Part of the problem is that writing invoices takes time, and if you’re invoicing for the same project four times a month instead once a month, you’re going to lose four times as many billable hours. Invoicing software can help. Platforms like Due allow users to simply copy an invoice that’s already been created so if the contents are the same, the time spent pressing “Copy Invoice” and “Send” should be minimal. But monthly invoicing remains the default, unless the client requests otherwise. Much depends too on the amount of the invoice. Dunn moved from bi-weekly invoicing to weekly invoicing to reduce the amounts lost in the event of a default. It was a lesson he’d learned from that large non-payment. But few freelancers are lucky enough to invoice $80,000 for a month of work, so few will face risks that large. Dunn’s model of weekly purchase invoices paid in advance is ideal for any freelancer. The money comes in before the work begins so there’s never any risk of default. It also comes in regularly ensuring a steady cash flow. But it bears little relationship to the experience of freelancers. Not surprisingly, clients balk at paying in advance and few are likely to be comfortable constantly having to stop what they’re doing to make another payment. The default for freelancers is closer to requests for payments sent at the end of each month, with each invoice acting as a milestone that has to be met for an ongoing project to continue. Freelancers who want to follow Dunn’s model can set it as a goal, but they shouldn’t be too surprised to find that in practice, they’re invoicing retroactively every month instead of in advance every week. Dunn’s model uses weekly invoicing as a way of feeding small, regular payments that pay for work in advance. While that model looks unrealistic, there is still a benefit to issuing an invoice at the start of a large project so that the client puts some money on the table. The default option should be a 25 percent down payment, two milestone payments of 25 percent, and the final invoice of 25 percent issued when the client is satisfied. The second milestone payment is often the delivery of the completed project. That model, however, still leaves plenty of room for flexibility. Some clients may want to pay less up front but are willing to accept more milestones—and more invoicing—as the project progresses. Others may want a clean 50/50 split with half paid when the project begins and half when it ends. The principle should be that new clients have to show their credit-worthiness by paying an invoice issued before work begins. The rest is a matter of negotiation. One of Dunn’s more interesting strategies is a way of handling late payers. He recommends being stern. “Let them know that you need to stop work, and that it will only resume once you’re paid.” But if the benefit of setting milestones during large projects is that they minimize losses in the event of a default, they don’t remove them entirely. Stopping work only stops the unpaid bill growing. It doesn’t get it paid. That’s where Dunn’s strategy gets more interesting. He used to employ a full-time assistant who worked, he said, as his “bad cop.” Her job would be to call clients whose bills weren’t paid and remind them of the terms of the contract. Because Dunn was usually on good terms with his clients, he could then call them up and act as the “good cop,” someone who’d love to continue working with the client but was bound by the recommendation of his office manager. It’s a split that goes to the core of the relationship between freelancer and client. No freelancer, and no owner of a small business, likes to lay down the law to a client. They want to discuss the project and see it grow. They want that project to be successful because, like the client, they can take pride in being part of a success story. They’d much rather maintain a friendly relationship with a client than enter a shouting match with one over an unpaid bill. Few freelancers can afford to hire a full-time assistant to chase down late payers but some freelancers are providing that service themselves. Julie Elster of JustTellJulie.com, for example, agrees to make the difficult phone calls to late payers that freelancers often prefer to avoid. For around $50 and 15 percent of any collected debt, she offers to call clients and by being “thermonuclear nice” makes them feel guilty enough to pay up. It’s a good option to keep in reserve if a client looks like they’re going to default. Brennan Dunn’s invoice strategies make for a good starting point when a freelancer is negotiating with a client. The aim is always to make the risk of non-payment as low as possible while still keeping the client happy. But careful invoicing can bring another benefit to freelancers. The stereotype image of a business meeting always shows a graph with ups and downs depicting rising and falling income levels. Freelancers rarely have time to make graphs like that, and they’re not always inclined to do so. Less important than the amount they earned over the previous months is how their schedule is looking over the coming months. But tracking sales and income is important. It tells a freelancer how they’re doing, whether they’re earning an amount comparable to the level they’d make in a regular job, what causes income spikes and what leads to losses of revenue. Keeping careful track of invoices, ideally by sending all invoices through the same software, lets freelancers easily see how they’re doing. They can identify weak months, look for patterns in revenue generation and adjust their marketing and productivity to maximize earnings and smooth out the inevitable peaks and troughs that every freelancer experiences. Income tracking isn’t usually marketed as a benefit of invoicing but it is a valuable way of monitoring a small business and encouraging its growth. Invoicing is a chore. It’s never fun, and it’s never the reason that someone starts a business or becomes a freelancer. It takes time and expense to do, and more time to follow up. It’s a task for which few business owners are trained and one that’s rarely taught on workshops for new entrepreneurs. And yet it’s vital. Those formal requests for payment, whether they’re issued in advance every week or sent out for work completed at the end of every month, will determine a company or a freelancer’s ability to keep working. Fail to complete an invoice correctly and payment will be delayed. Spend too much time on the paperwork, and you will damage your productivity and reduce your earning potential. Not notice that an ongoing project isn’t being paid for, and you’ll end up working for free. All of those consequences will damage a business. In this guide, we’ve looked at how invoices work. We’ve touched on their long history and discussed the different kinds of invoices a business might send to a client. We reviewed the benefits of electronic and free blank invoices. We also talked about each of the elements that an invoice needs to tell a buyer what they need to pay, why they need to pay it, and when they need to make their payments. Those elements have changed little in the thousands of years during which traders have been exchanging invoices but the manner in which the payments are made have changed considerably. After cash and check, businesses are increasingly turning to digital payment methods to transfer funds safely and cheaply from one account to another—and they have a wide range of methods to make those transfers. From ACH and wire transfers to online platforms and even peer-to-peer platforms, the method of payment should no longer be a reason for a delayed payment even if it may now be a part of the negotiation over the work contract. And just as payments have become digital, so have the invoices themselves. The development of online invoicing platforms have been a huge boon for businesses large and small, and the number of firms recognizing those advantages continues to grow. Instead of storing paper invoices in filing cabinets, businesses can store them on a server, retrieve them easily, copy them quickly and deliver them immediately, saving time and efficiency. We looked at the benefits of electronic invoices or invoice apps, and we also talked about how to use those invoice generators to encourage early payment, spot late payers, and improve cash flow through factoring. Finally, with the workplace changing into an environment in which freelancers work for multiple clients on their own terms, we also paid particular attention to invoicing for freelancers and small businesses. While the model espoused by one consultant may be more ideal than realistic, we showed how it might be used as a basis for the negotiations that every business and freelancer needs to conduct. We also stressed the importance of analyzing those old invoices to spot the growth of your business in the past and plan for extended and smooth growth in the future. Invoicing is as much a part of a business as setting up a bank account and buying printer ink. It’s a vital part of running a company, and while it might not be the most enjoyable part, the result of smooth invoicing is always worth the effort. By simply using free invoice templates and software, you can simplify your life, improve your time management, and (most importantly) always get paid when you’re owed money. Not ready to try the product but want a free blank invoice template?